Netsweeper 6.0 is now generally available. All customers are recommended to upgrade to Netsweeper 6.0.6 GA release. The 6.0.6 GA release includes security updates, bug fixes, and some performance improvements. We recommend that all customers plan to upgrade to the 6.0 GA release to take advantage of new functionality and all the stability and security improvements. For a summary of 6.0 GA improvements, visit our HelpDesk documents or to view 6.0. New Features, click here. To see the 6.0.6 Change Log or to download this release see the knowledgebase article. 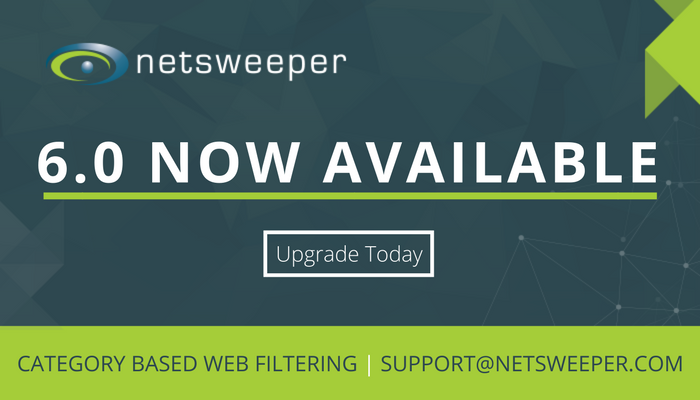 If you have any questions or concerns about planning an upgrade to this release, please contact Netsweeper Technical Support support@netsweeper.com.